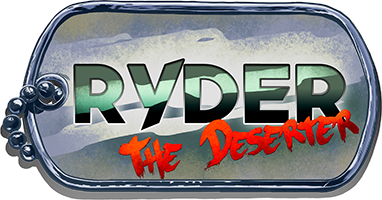 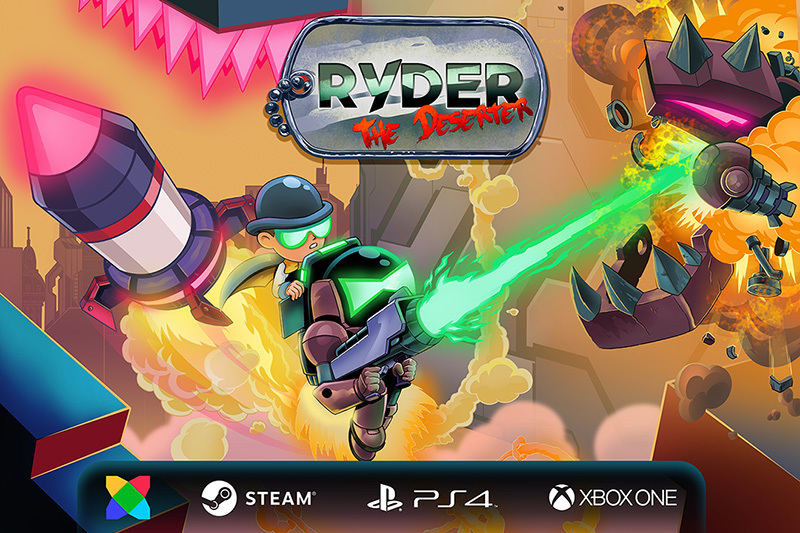 In Ryder: The Deserter, players join Ryder, a secret agent with the ability to control objects, such as vehicles and rockets, and even enemies! 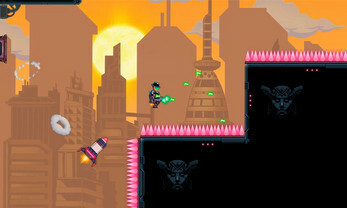 - Quick gameplay: It’s easy to die, but also easy to retry! 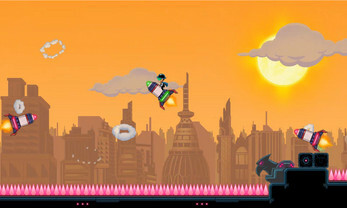 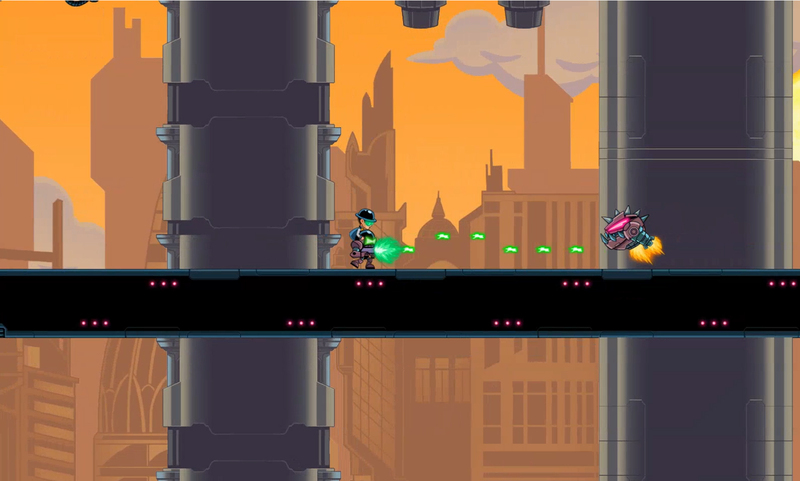 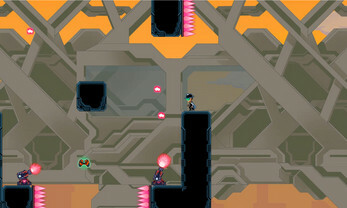 - Ride your bike, rockets and turrets, and other type of enemies to shoot and to use them as jetpacks. Overall I enjoyed this, the music was awesome and the art is beautiful! The platforming sections are pretty good with fast and fluid movement that feels satisfying. 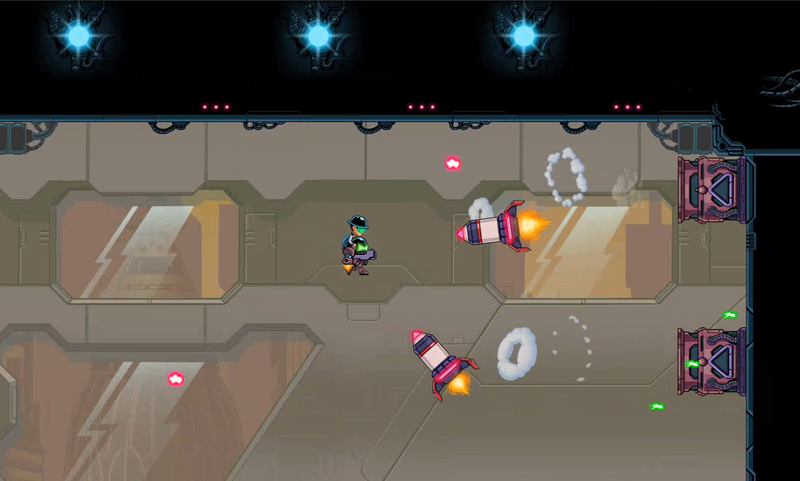 But in a few of the motorbike section and rocket sections the projectiles coming from offscreen feel cheap and unfair because of either the momentum and time to redirect in the rocket or the jump arc of the bike. 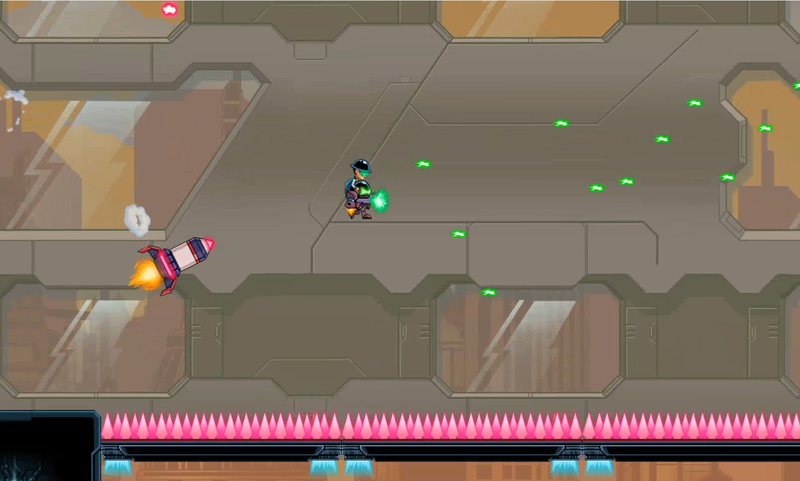 Due to speed of respawn it becomes less of an issue, but I think it needs some tweaks as now it feels as if it's more about luck and repetition. 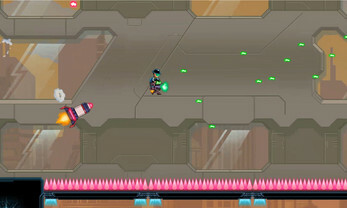 Unless there is a mechanic I missed, which is always a real possibility, it seems to be a contradiction to the advertisement of "A challenging game with no unfair difficulty"